To download / print the instructions to make the Butterfly block CLICK HERE. 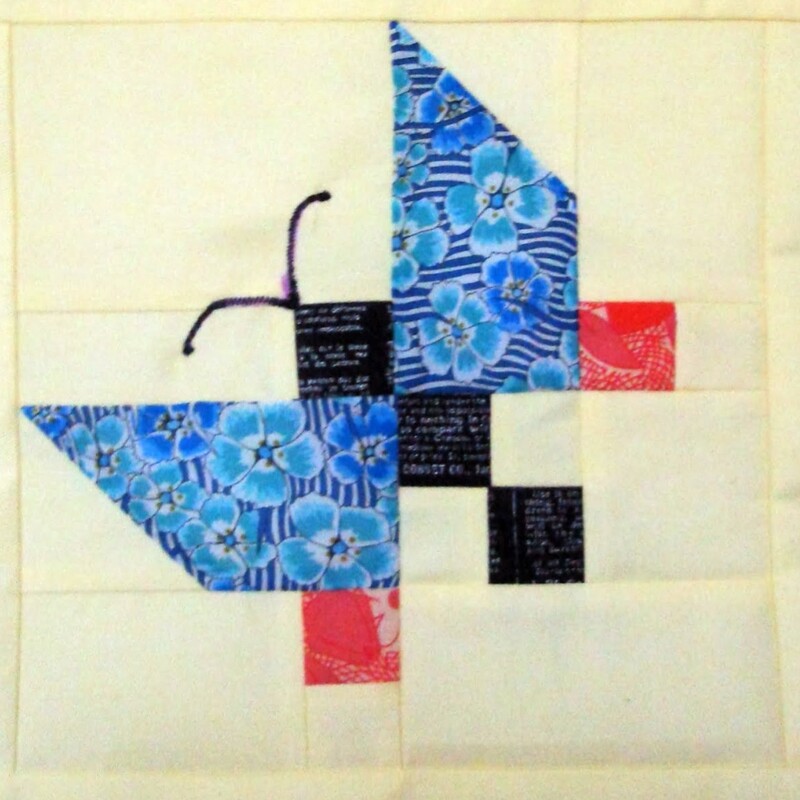 This block is based on a pattern by Jay Bee Designs - unfortunately no longer available online. I have slightly changed the pattern to make cutting easier and since this is an option for my Bee A Brit Stingy bee mates I'm giving a quick tutorial to show how I pieced mine. If you are in the Bee then please check our Flickr group for details about the block options you have this month. If you use this block and share on social media or blog about it please include a link back to this tutorial - thank you! 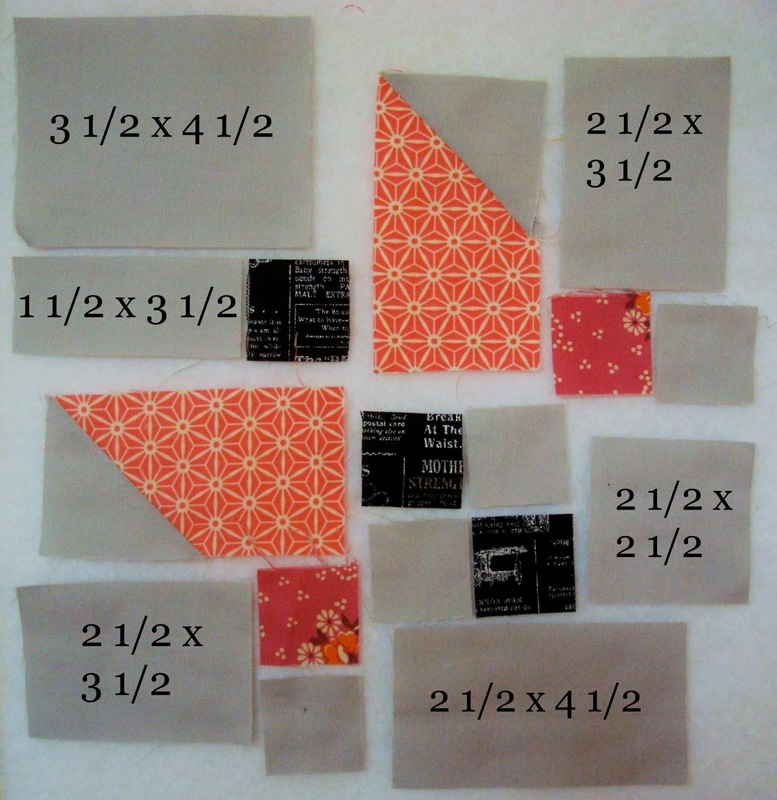 All measurements are in inches and use a 1/4" seam for piecing. And put them together. I pieced all the small squares together first and worked from there. Press your seams as you go - whatever way works for you. Once the block is pieced add the border pieces and press the seams to one side. Then use the zig zag stitch on your machine (or embroider if you prefer) to add some antennae! The great tutorial for this is at the end of this post by Leila. 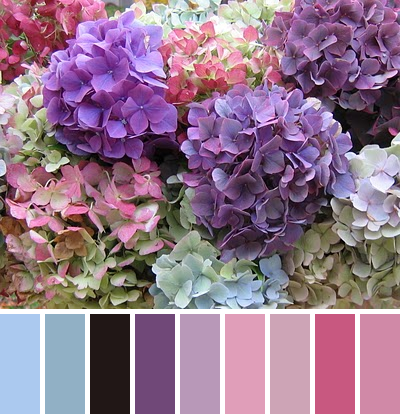 I would love the bees to use these colours - mix the dreamy and pretty tones of the palettes. For the wing fabrics I would like 30s repro, small prints, Liberty or anything vintage looking (doesn't have to be floral!) - in pinks, purples and blues. Please use two fabrics for the wings - one print for the larger wings and one print for the smaller square part of the wings. For the body please use black, preferably a text fabric if you have it. For the background please use one solid colour in either off white, cream, pale grey or very pale yellow. 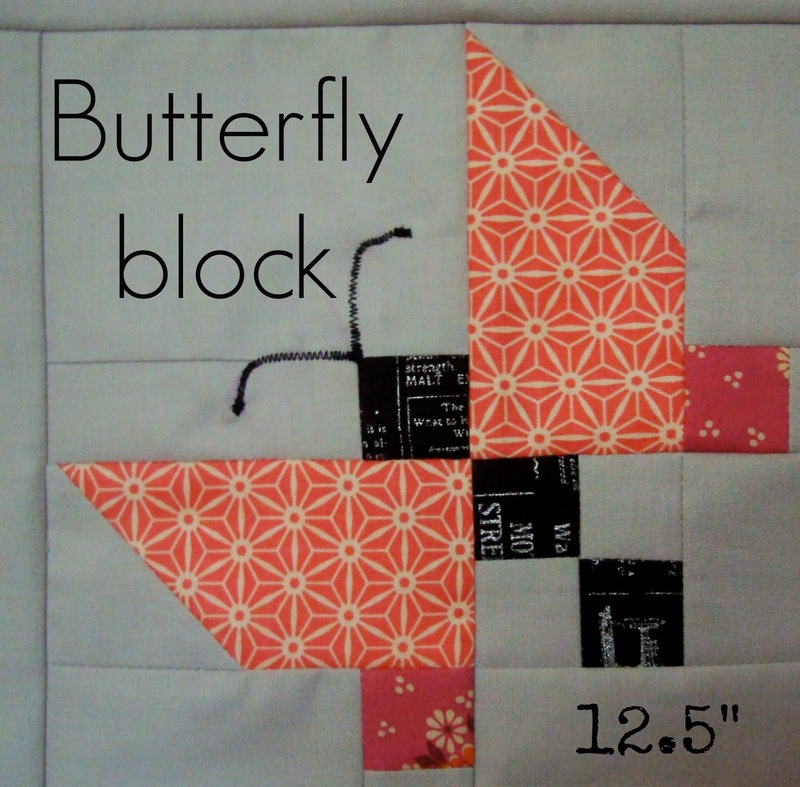 The butterfly block above is one option and the other is slightly more of a challenge - using Leila's tutorial for an Alice Brooks Butterfly. These blocks are gorgeous! I haven't had time to make one yet but I will. I would request the same colours as above but obviously use more fabrics for the wings. 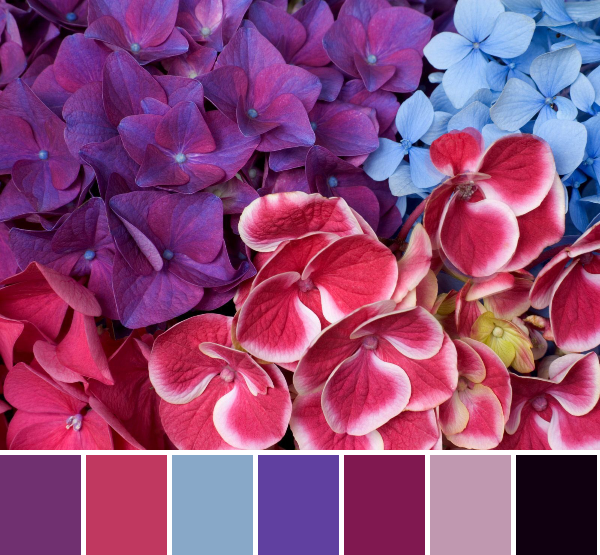 I am also planning on appliqueing some flower blocks and combining them to make a beautiful butterfly garden quilt for my daughter Joan. She's already chosen the applique designs and she chose the colour scheme. She needs a bigger quilt because I've only made her baby ones. I know she's going to be so excited when these butterflies start flying through our letter box! Loving both your blocks - it will be hard to choose which to make! How lovely to get the chance to help make a quilt for your daughter. Now I'm going to have to make a butterfly quilt on top of everything else. Love this log! The other one is beautiful too!! Two great blocks, I can't wait to get cracking! Great tute! This is going to make one gorgeous quilt. What a beautiful block and you made a fantastic tutorial. This is gorgeous! I'm totally going to make this one day!